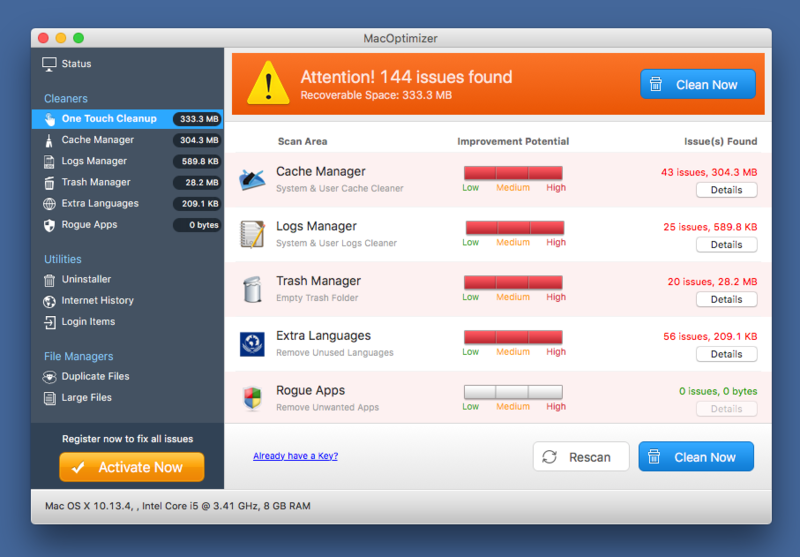 How did Application.MAC.Keylogger install on my Mac? How to avoid installing unwanted applications? Application.MAC.Keylogger is the detection name for a potentially unwanted application (PUA) – software that infiltrates Mac systems without users’ consent. Many users report that, although they have not willingly installed new software, new applications appear on their computers. Unwanted applications also commonly infiltrate computers through fake downloads. For example, Mac users browsing the Internet might be confronted with a pop-up ad stating that Flash Player is out-of-date and requires updating. After users download and install Flash Player, they discover that a number of PUAs were also installed. A term potentially unwanted application is used to describe a program that was installed on user’s Mac without a proper consent. While most of unwanted applications are not particularly dangerous, they can significantly slow down computer’s performance, show unwanted pop-up notifications and perform other unwanted behavior. 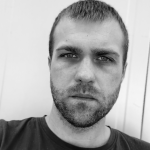 The main objective of an unwanted application is to generate revenue for their developers, it’s most commonly done by showing intrusive advertisements or by asking a computer user to purchase a full version of the program. Software download portals: Many software download portals use ‘installers’ that bundle free software together with potentially unwanted applications. The safest sources from which to download applications are developers’ websites or the Mac App Store. Fake software updates: Never trust a website that encourages you to update your Flash Player, Java, or other application. You should download updates from developers’ official websites only. A Mac message states that a virus is found: No website is capable of determining if your Mac is infected. Do not trust any online pop-ups that inform you of computer infections – they are fake and their main purpose is potentially unwanted application distribution. 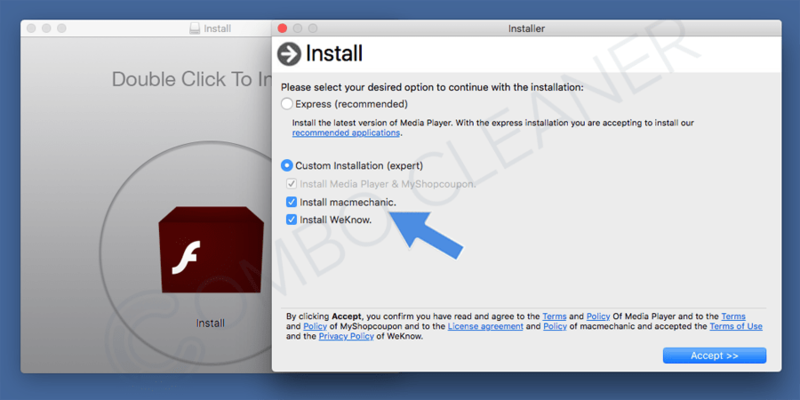 Deceptive marketers devise various new methods to trick Mac users into installing software bundles. After infiltrating the system, PUAs might cause harm by tracking computer use and behavior. They can use utilize Mac resources by displaying advertisements and opening various pop-up windows. This reduces system performance. 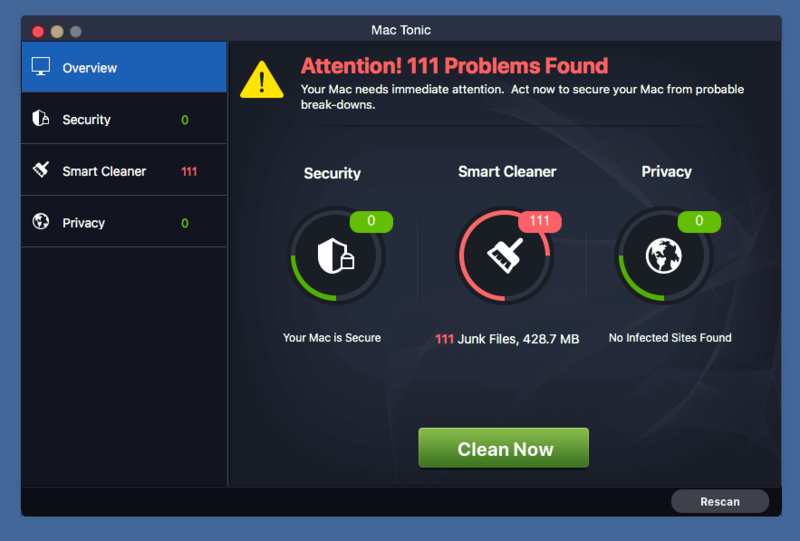 The most common form of potentially unwanted applications are disk cleaning apps. They stealthily install on computers, set themselves to start automatically on each system startup, and then perform ‘system scans’ that detect many issues that supposedly need addressing. To fix the issues users are asked to pay for the license of the program. The main advice in such situation would be – don’t purchase a program that you didn’t install on your computer. People who distribute their software using deceptive methods shouldn’t be trusted with your banking details. The most common source of potentially unwanted applications are fake downloads. For example, fake Flash Player updates, java downloads, etc. Many software installers are also present within software ‘crack’ download and torrent websites. 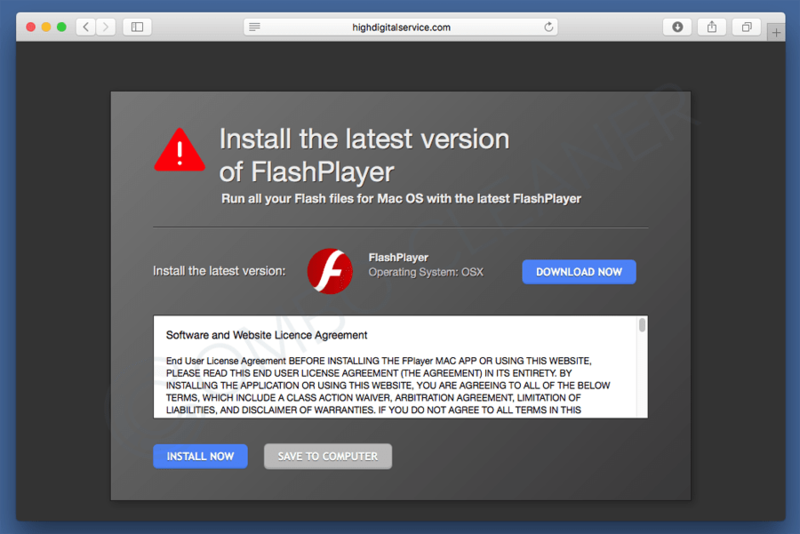 Deceptive marketers create various pop-up ads designed to trick Mac users into downloading legitimate software bundled with other potentially unwanted applications. 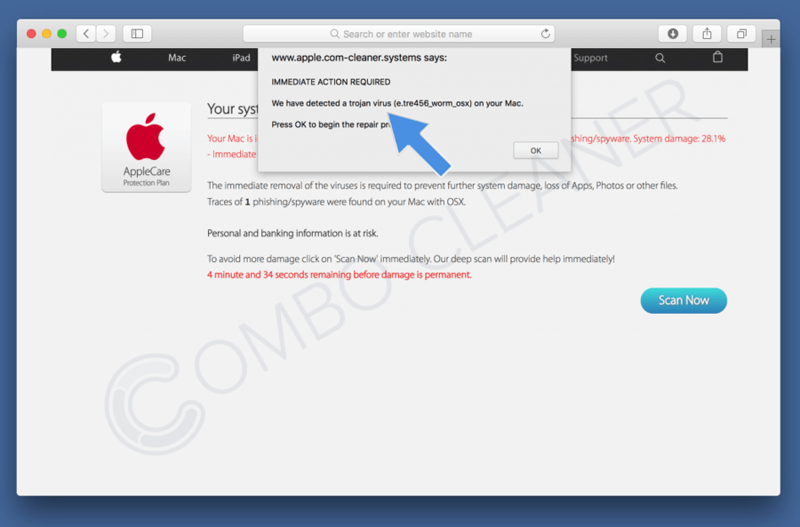 Another common way to distribute potentially unwanted applications (often, disk cleaners and security-related applications) is through fake pop-up ads that indicate supposed computer infections. 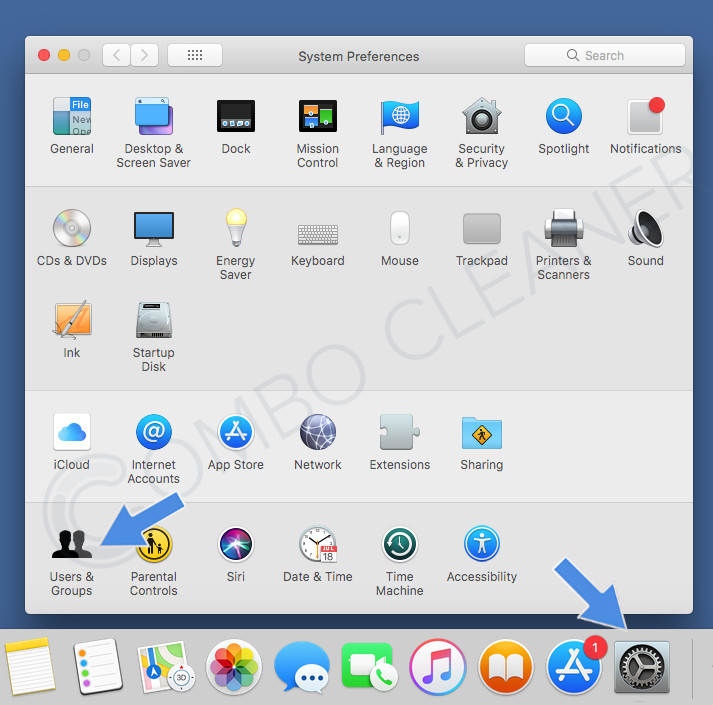 These unwanted ads claim to be legitimate Apple-related notifications and are designed to scare Mac users into downloading potentially unwanted applications onto their systems. 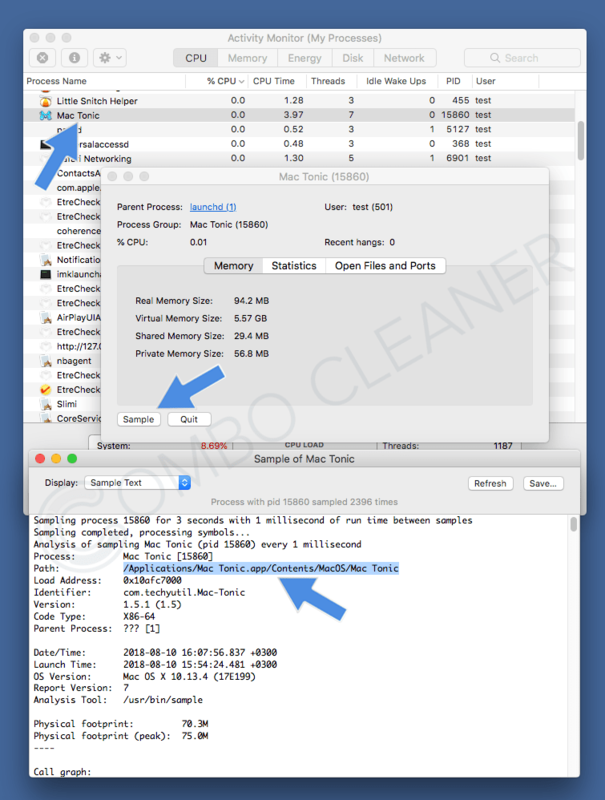 How to avoid installation of Application.MAC.Keylogger in the future? 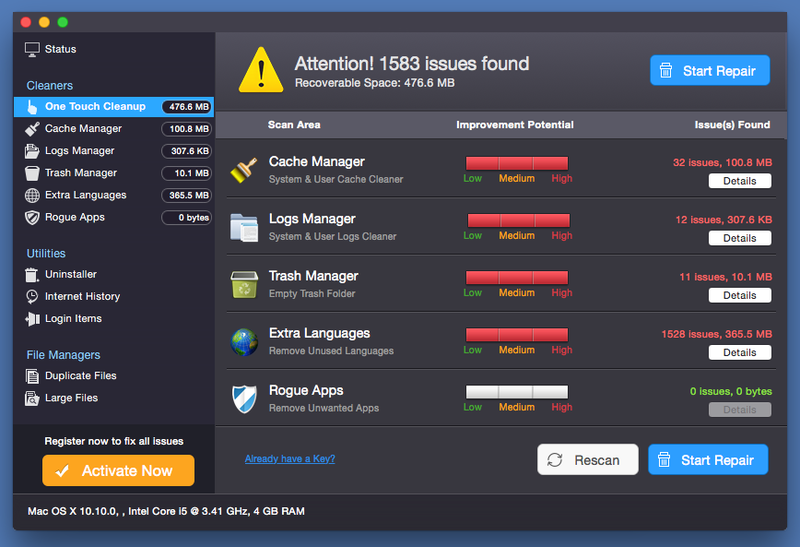 If you have accidentally installed a potentially unwanted application on your Mac, remove it immediately. To avoid these situations in the future, be cautious when browsing the Internet and especially vigilant when experiencing pop-up ads asking you to perform certain actions (such as downloading updates or security software). Download free software and software updates from developers’ websites only. Do not trust pop-ups that indicate virus infections. Do not download torrent files or software cracks. When installing free software, choose advanced or custom installation options – this will reveal any PUPs bundled with the installation. 1. 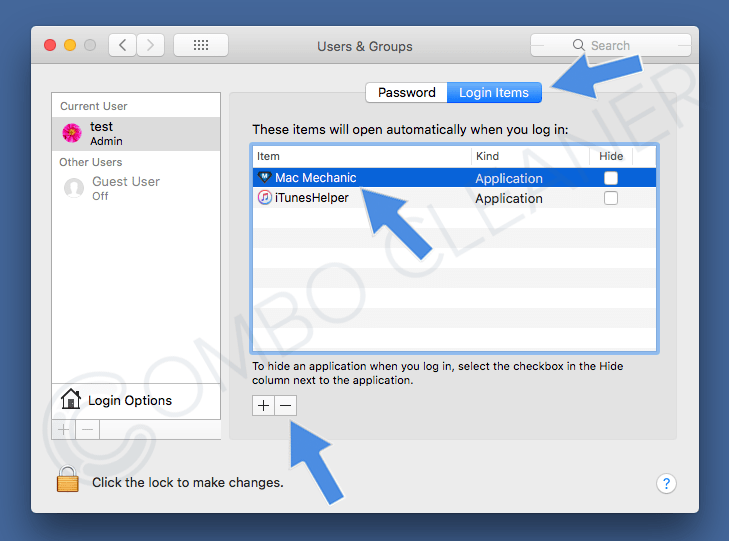 Click on System Preferences, in the opened window select “Users & Groups“. 2. At the top of Users & Groups window select “Login Items“. Select the name of the potentially unwanted application and click on the “–” symbol. 1. Click on Launchpad and select “Other“. From the list of applications select “Activity Monitor“. 2. 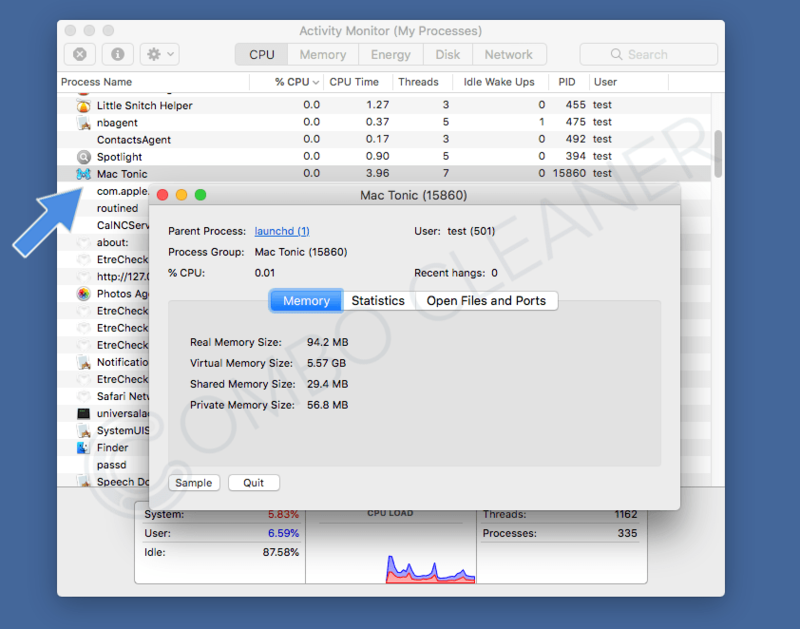 After launching Activity Monitor look for the name of the potentially unwanted application you are trying to remove. 4. Copy the path of the potentially unwanted application (select the path, then right click your mouse over the selection and click “copy“). Then click on any blank space on your desktop, then select “Go” from the top menu. 5. 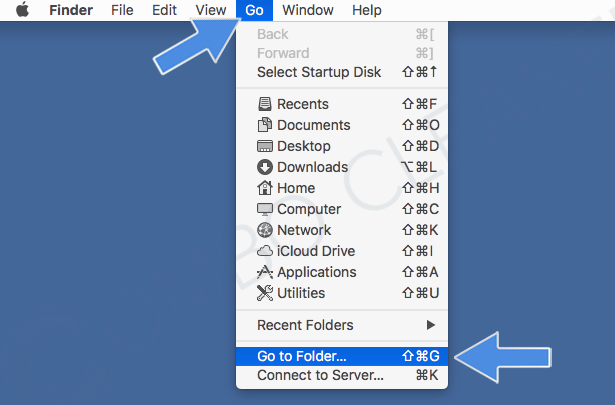 From the “Go” menu select “Go to Folder…“, in the opened window paste the path of the potentially unwanted program you copied previously. 6. In the opened folder: drag and drop the file of the potentially unwanted application to your trash can. 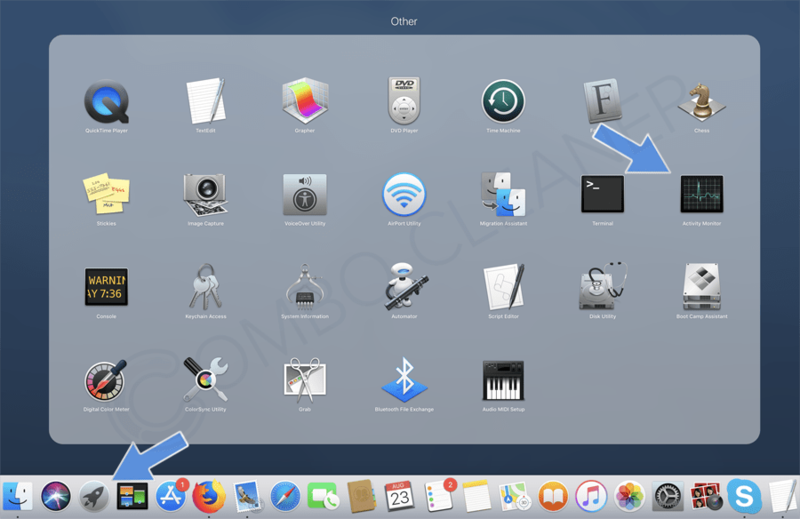 After restarting your Mac the potentially unwanted application should not start and it should not bother you anymore. Note that PUPS usually leave a lot of additional file, they could reinstall the unwanted application. 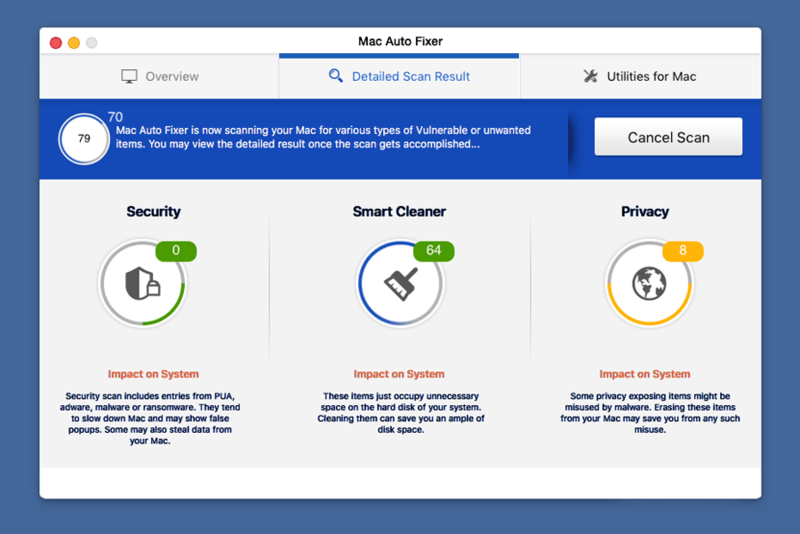 It’s recommended to run a full system scan with Combo Cleaner antivirus to be sure all the unwanted files are eliminated from your Mac.